EPIC, Kimpton’s new lifestyle, waterfront boutique hotel in downtown Miami, is known for its intimate meeting space and personalized service. For groups seeking a unique location for meetings and events, EPIC’s private marina offers charter departures directly from the hotel, where guests will be able to enjoy Miami’s surrounding waterways. Companies and organizations can host unconventional meetings aboard a yacht from the marina, as well as one-of-a-kind yacht parties, receptions and events. Deep-sea fishing trips and intra-coastal waterway tours can also be arranged. Situated where Biscayne Bay meets the Miami River, EPIC offers direct marina service, allowing guests an easy means of arriving, docking and departing directly from EPIC when traveling by boat or charter. EPIC’s private marina offers 900 linear feet, enough to accommodate several major vessels at one time, in addition to a full range of marina services, including dockage and maintenance (fueling services not available). For day visitors, sea-goers can dock their watercraft at EPIC and enjoy a meal at Area 31, EPIC’s restaurant on the 16th floor offering premium seafood with a Mediterranean influence, or a cocktail at River Lounge, the hotel’s new waterfront lounge located steps from the marina. Managed by Kimpton Hotels & Restaurants, EPIC is a new lifestyle, waterfront boutique hotel located at the edge of the Miami River and Biscayne Bay. EPIC combines the timeless style of a cosmopolitan boutique hotel with the amenities of a resort to create a sophisticated recreation oasis for guests amidst the energy and pulse of Miami. 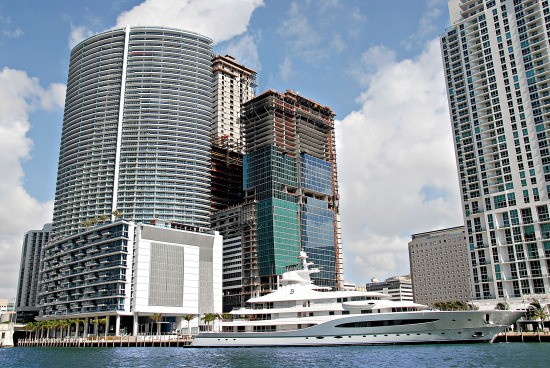 EPIC is located at 270 Biscayne Blvd Way. For more information on the hotel and reservations, please call (866) 760-3742 or (305) 424-5226 or visit EPIC Hotel.